We like to hear feedback from our customers and here are a few of the comments that made us very happy. Hello, Hanka, Teresa and Marie. Thank you very much for wonderful service we’ve got! Beautiful cars, kind drivers. Everything was perfect! Peter was magnificent!! Thank you for selecting him for our venture. I cannot imagine having a better driver and guide! If you ever need a recommendation in the US please do not hesitate to call on me. I am one very satisfied customer!!! I want to thank you for sending a great driver. Michal did a great job and was very helpful and courteous. Just wanted to drop you a line to say thank you for the great service that your company provided during our trips to Karlovy Vary and to České Budějovice/Český Krumlov. I´m sending our phote with your driver, and of course, by all means, please use my email as a reference on your website! 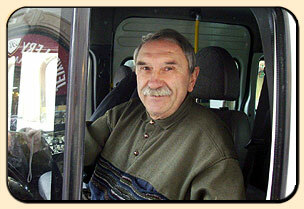 Michal Papik was an excellent driver, and please convey our appreciation to him! We wanted to let you know how content we are with your service. It was very pleasantly organized and we arrived safe and sound! just wanted to thank you and Frank for a wonderfull time in Prague. He’s service was amazing! he’s the best! when i’ll get back i’ll definitely contact you again. Everything was fine, clients really enjoyed their stay. 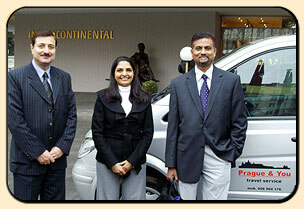 We would like to thank the company Prague & You, Ltd. for perfect service during HOM (head of mission) European conference which was held in Prague in March 2006. 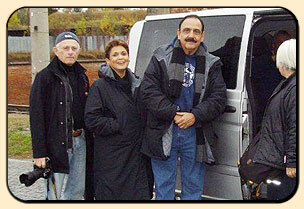 All cars and minibuses were ready on time and drivers and guides performed perfect service. our Prague tourist agent has been incredibly helpful arranging for individuals and groups making the experience of a Prague stay unforgettable. Knowledgeable and experienced she listens to your requests and finds the accommodation most suitable for my clients. Finding the right guides, getting theatre and concert tickets, arranging for dinner cruises or special restaurants, all is done with full disclosure of costs and services. I am delighted to thank you for overall cooperation in the past. Your services match expectation both from our side and from the side of our demanding clients. Our clients either from Europe or even from overseas have various tasks and wishes but one of them is common – high level of service. This is the reason why it’s so pleasant to work with your company. Your service minded drivers, flexibility in terms of size of the coaches, quality of the vehicle fleet and friendly prices equal to offered service – for you this is daily common facts for us necessary things. We will be pleased to continue in our cooperation in the future. 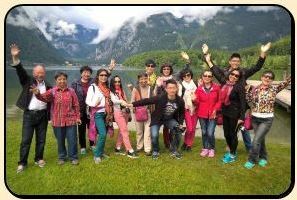 Thank you for your services and we are satisfied with the arrangements that you made for our groups visit. We will contact you for our further requirements. Hope to have a good cooperation in the future too. to provide almost impossible, which in the case of large events appears to be very necessary. Thanks to these reliable services a 350persons Congress that took place for one week was safely and fully vested. After several years of very good co-operation, the team of Prague&You is the guarantee of quality and professional services. 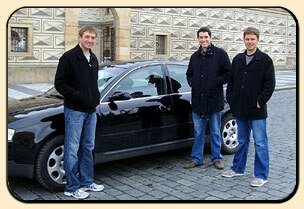 We hire their vehicles with drivers for state institutions which are among the most demanding clients. I can only recommend the Prague & You company. Jan was FABULOUS. I am going to write a positive review on Trip Advisor for you. We plan to come again and hope to have Jan as our guide. The car was excellent for Richard´s long legs that do not bend easily. Thank you for getting this all together for us and please thank Jan again for making our last day in Prague so memorable. I want to thank you for everything. Jan was so nice and professional and kind to us. thank you for all, Andrea was perfect, and also today guide!!! 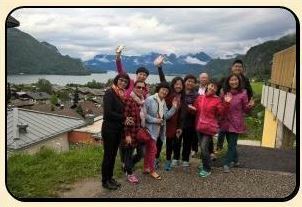 the bus we´ve requested showed up on time and our trip went quick and fluently. Thank you veru much! 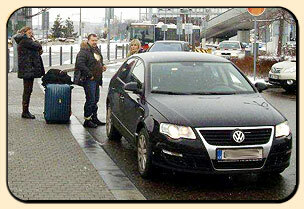 For next reservations we´ll have with groups to Prague we´ll surely consider your service again. I do appreciate everything you and your company did for us during our stay in Prague and Vienna. 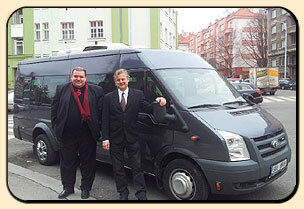 I wanted to thank you and your company and Mr. Zavadil for ensuring we had a special visit in Prague. We appreciate you accommodating such a short tour. Mr. Zavadil, who speaks perfect English, was very knowledgeable, helpful, and gave us a chance to experience Prague for a few hours. He took us to a great local spot for lunch as we requested. Were it not for Pavel we would surely have missed our train as the train station was confusing since we don´t speak the language. Pavel went above and beyond in getting us on the proper train and even helping us with our luggage. 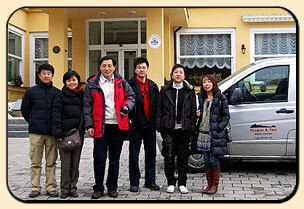 We had a great time in Prague thanks to your company and Mr. Zavadil. 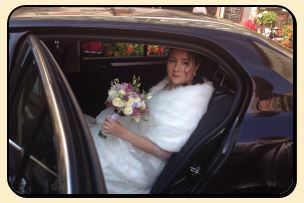 I want to thank you, your company, and our fantastic driver/guide for your wonderful day today. From the very first time we communicated with each other everything was dealt with smoothly and professionally. Our request to visit small town in Poland was treated with the same importance as if we wished to visit any of many popular destinations. Your quote was competitive and fair. 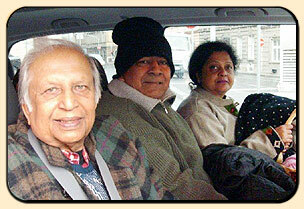 The car was new, spacious and very comfortable. Franta our driver, was an absolute delight. Not only was he a very experienced driver (and for part of the time we had to travel in extremely heave rain and storms), but his communication skills were outstanding, his local and international knowledge was impressive and he also had a wonderful sense of humor and the very best of manners. The whole day exceeded our expections and we can´t speak highly enough of your service. My wife and I very much enjoyed our two tours in Prague that you set up for us. The guide, Lucie, for the city tour was extremely knowledgeable and charming. The driver we had both days, Jan, was and excellent driver and a good knowledgeable guide as well. We would highly recommend your services and you are more than welcome to use this information on your website. 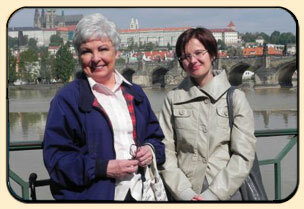 I´m sending a picture – Gudie Luci and my wife in front of the Charles Bridge. The weather was as ideal as the tour was. we had a very nice trip today! Pavel is very good guide. Thank you for presenting us to this beautiful country. my Prague visit out of our 4 countries we visited was by far the highlight. We will definitely call on you again. Our driver for the day Thursday was excellent and we had a great time seeing the sights of Prague with him – Andrew I believe his name is..
thank you very much for your service. 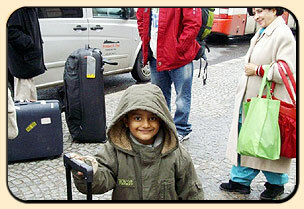 Everything was perfectly organised, we felt very comfortable in Prague. As we plan another stay in Prague we will contact you! Thank you! Just wanted to let you know that we think Zdenek is a wonderful driver. He was so helpful in translating and navigating our trip to Tachov. He is very professional but also personable and full of interesting information. We enjoyed every minute we spent together. Now that we are back home, I wanted to thank you for your excellent services and please ask you to thank all drivers. Everything worked well and on time and all three of them were nice and helpful. 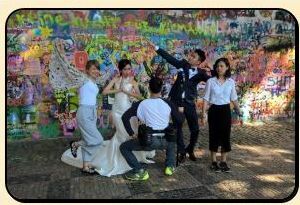 We will sure recommend you to our friends when they happen to visit Prague. 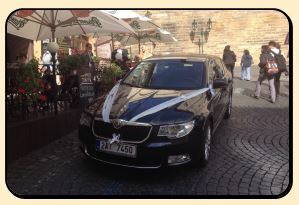 Thank you for the excellent service and hope to use your services again in our next Prague visit. I will also endorse your company to my friends. I would like to thank you for a perfect service! Everything was well organized! We will work again together in the future! We were very happy with your service and we will surely contact you again next time!